Represented an automobile parts supplier in a $110M acquisition of a manufacturing facility in Alabama. Represented a fund in the original financing and equity investment, and subsequent restructuring and sale of a $120M loan facility and equity investment in the entertainment industry. Regularly negotiate terms and conditions of sale for manufacturing clients. Represented a client in a $12M acquisition of a steel fabrication business in Alabama. Represented a client in $4M debt financing, refinancing of that debt and preferred equity raise of $1.5M. Represented a solar developer in the potential portfolio sale of over 40 renewable energy projects in several states. Represented a client in an $8M preferred equity raise. Represented a client in a $250M merger involving a company that owned several hundred thousand acres of timberland in several Southeastern states. In connection with an over $300M acquisition of a restaurant franchisee, represented an investment fund in organizing and structuring the capital investment with the other investors. Represented a solar project developer in a $12M sale/leaseback financing of a photo-voltaic solar facility. Represented a client in a $36M sale of its restaurant business. Represented creditors of an international coal and energy company acquire assets of debtor out of bankruptcy. Represented first lien creditor of a ship repair business in connection with acquisition of debtor's assets out of bankruptcy. Represented ship and oil rig repair business in connection with a $25,000,000 sale of assets. Represented food distribution company in connection with a $36,000,000 sale of all of its assets. Represented renewable energy company in connection with sale of over 30 development stage projects in United States. Represented real estate developer in connection with a $55,000,000 sale of a medical office building. Callie is an experienced transactional attorney focusing on mergers and acquisitions, business formation and capital needs for both start-ups and more established companies. She also regularly advises clients on day to day corporate matters that come up in her clients' respective businesses. Callie’s practices in the firm’s Corporate & Tax Practice Group, and she has extensive experience in mergers and acquisitions includes deals in the manufacturing industry, solar industry, as well as consumer focused industries such as restaurants and health clubs. She represents clients in a broad variety of deal sizes, ranging from less than $1,000,000 to in excess of $500,000,000, with most experience coming in representing lower and middle market companies. Additionally, she regularly represents solar developers in acquiring, financing and developing solar projects in various stages of development, and she has significant experience representing private equity companies in the acquisition and sale of portfolio companies. 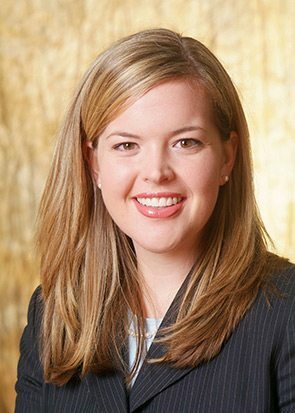 Callie is an active member of the community, and is a past board member of the Junior League of Birmingham and a member of the board of the Birmingham Venture Club. She serves as a member of the firm’s Opinions Committee and Charitable Contributions Committee. Starting a Medical Practice: What Entity Works Best for You?